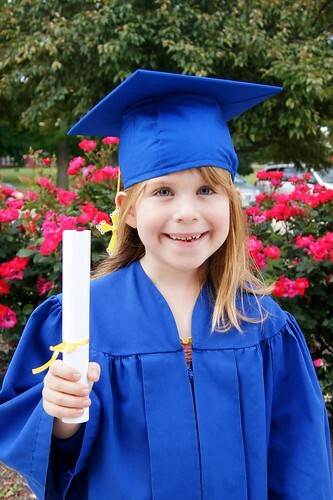 With warm weather comes the end of the school year and with the end of the school year, comes graduation. Graduating from high school or college is a big accomplishment and many families celebrate their son or daughter’s graduation with a party. These parties can get very expensive. According to Graduationparty.com, the average cost of a graduation party is $1,200 and it is easy to get caught up and carried away in the celebration. · Create a budget: Without one, it is easy to become overwhelmed and concerned with what other grads and their families are planning and often times can feel like a competition among parents. · Do it yourself invitations or bulk options: Consider ordering through bulk invitation sites or large photo sites such as Vistaprint.com, snapfish.com or Shutterfly.com. · Party Supplies/Thank you Cards: Check out dollar and discount party supple stores for supplies. Don’t be afraid to use blank cards for thank you notes. Also, skip the “Class of 2013” plates and napkins. Solid color plates and napkins are most likely cheaper. · Refreshments: Instead of spending a large part of your budget on canned soda that winds up left unattended and half full, substitute it for punch. · Food: Often times the partygoers have several parties to visit on the same day, so instead having expensive main courses, opt for a lighter menu of food that you make yourself. It may be overwhelming to make all the food yourself, but ask your family and friends to help. · Do it yourself photo display: Sharing a span of photos of your son or daughter from a little kid through the end of high school or college can make for a great display. · Party at your house: Hold the party at your own house. If it isn’t big enough or isn’t conducive for a party, see if you can host it at a friend or family member’s house. Even better, consider co-hosting a party with other families. Joint parties sharing in the expenses will likely be worth it. When it comes to graduation parties, the most common gift to give is money. There was a time when money was considered a tacky gift, but times have changed and now money is considered a proper gift especially for graduations. A suitable cash graduation gift depends on all sorts of factors; from how well you know the graduate and whether you plan to attend the party, to your financial circumstances. Don’t let throwing a graduation party and attending numerous set you back financially. Follow these tips and look for other ways that you can save when in the planning process.